We are engaged in manufacturing SS etching sign boards, which are specially used for writing on name plates of companies, colleges, institutes and homes. 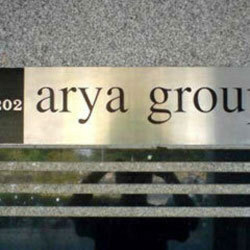 These stainless steel sign boards are made by etching techniques. Clients can avail these boards in customized sizes and various messages can be written in different fonts, colors and sizes. Icons S.S Board are impressive mode of outdoor advertising sign boards. Because of increased competition in the market, it has become vital to advertise your products and services in more attractive and noticeable manner. In order to keep pace with never ending demands of the customers, our company is instrumental in offering Stainless Steel Board. To supply the ever rising needs of our customers, we are occupied in offering a wide range of Steel Board. In order to meet the various requirements of the customers, we are engaged in offering a wide assortment of Stainless Steel Notice Board.